A certified public accountant (CPA) offers guidance on a wide range of financial matters, including tax planning, estate planning, personal financial planning, saving for college and buying or selling a business. CPAs are considered to be among the most trusted financial advisors. They are innovative and strategic thinkers who are well-respected for their integrity. CPAs adhere to strict professional standards of conduct. In order to keep their CPA designation, they are required to meet continuing education requirements that keep them up-to-date on changing accounting standards. Criteria for hiring a CPA. Before hiring a CPA, you should decide what you want from your CPA. Analyze your present and future financial needs and determine your goals. Next, interview two or more CPAs to determine if your needs are compatible with his or her expertise. Ask the CPA if he or she is licensed to practice in your state. Find out if he or she is active in professional organizations. Professional membership is important. 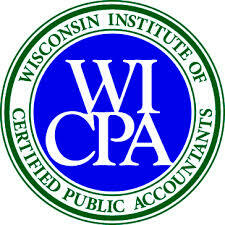 CPAs who are members of the AICPA and the Wisconsin Institute of CPAs are regulated by a strict code of professional ethics. Once every three years, their accounting and auditing practices are rigorously reviewed by their peers. Is he or she a good listener? Do they ask pertinent questions and demonstrate an interest in your business? Do they have services you might need in the future? Finally, do you think you can work with them? CPAs usually base their fees on the time required to perform the services, the type of services required, their level of expertise and the complexity of the work. Talk frankly with your CPA about fees. Find out how much it costs for work performed by a staff accountant under the supervision of a CPA, a higher-level employee such as a supervisor, or by a manager or partner of a firm. Discuss your goals with your CPA. Consult with your CPA when considering major business or personal financial decisions. Don’t pay unnecessary fees. Keep good records and prepare routine tasks ahead of time. Keep your CPA informed of changes in your personal and professional life. A recent marriage or divorce, the birth of a child, a career change or a generous bonus can impact your tax liability and personal financial goals.